Just months after forming their band, the first-year students of Ben Mueller and the Low Ceilings joined Beacon Beats on Friday to perform a vibrant set of their folk-centric compositions. Performers: Julia Brackett, freshman political communication major; Mike Ijac, sophomore visual and media arts major; Phil Jones, freshman visual and media arts major; Ben Mueller, freshman visual and media arts major. Set list: "Miles," "Heaven Forbid," "Magic Bus." 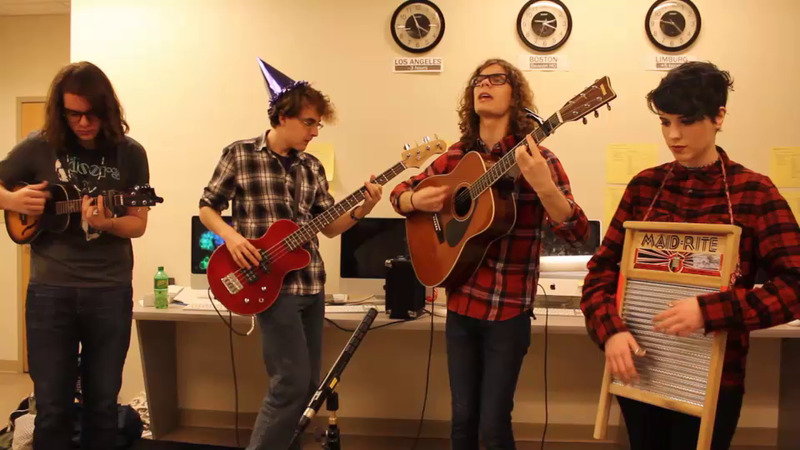 Beacon Beats brings campus musicians to the Beacon office every week to perform live. To sign up for a slot, email us at contact@berkeleybeacon.com.